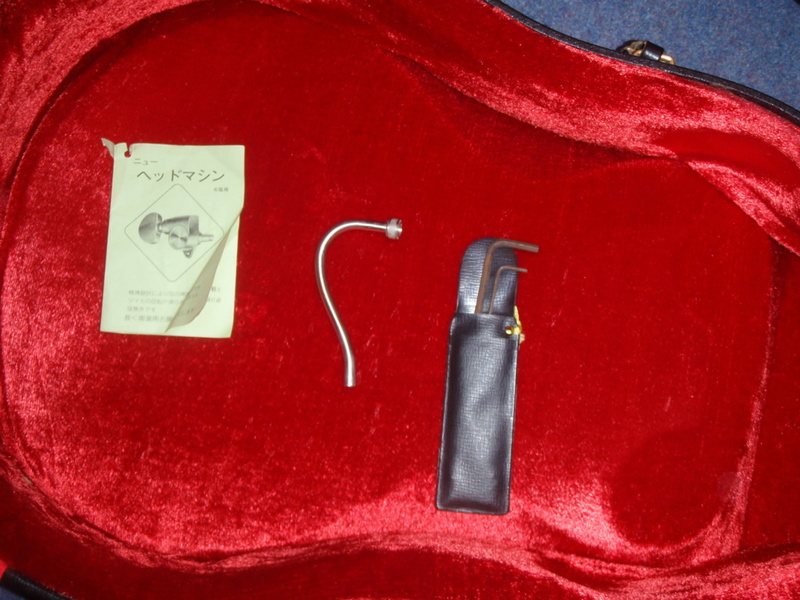 And in the case were some original bits and pieces - hex keys in a little plastic case, Japanese insttructions for the tuners (with "translation" on the back), and a funny looking bent piece of hollow pipe. I am only guessing that it is to do with the guitar - anyone know what it is??? I gather it has been in a wardrobe for 20 years, and it is in really good nick - no dings or significant marks on it. It'll get a good clean up and new strings, but with a few quick adjutments (the action was really high) it is already sounding really good. I guess it has MMK 45s in it. I'll check when the strings get done. 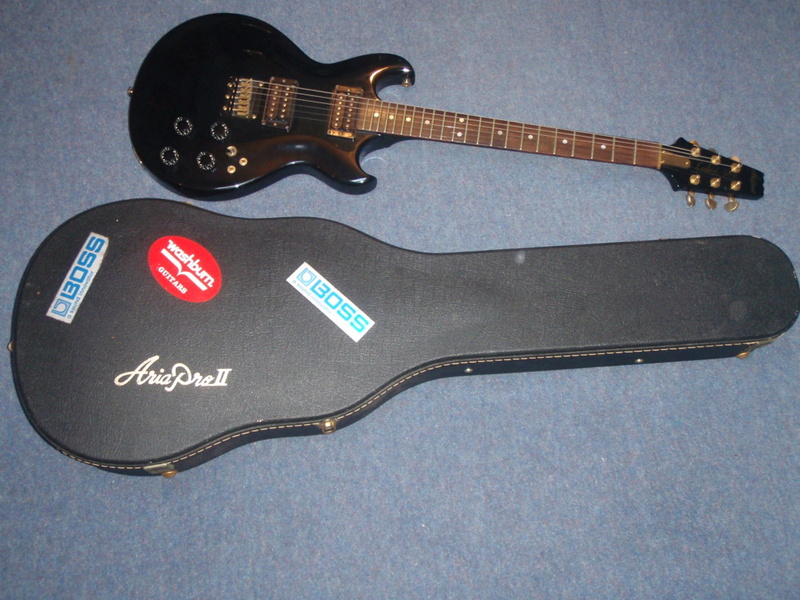 After a bit of fiddling, it seemed that the frets hadn't been levelled very well orignally. There was very little fret wear but the frets were high around 7th fret. So I straightened up the board and re-leveled and crowned them. the first fret was very high too. A good clean up and lemon oil, new strings and it plays great. Love the Black and Gold APII series, very classy. No idea about that "pipe". 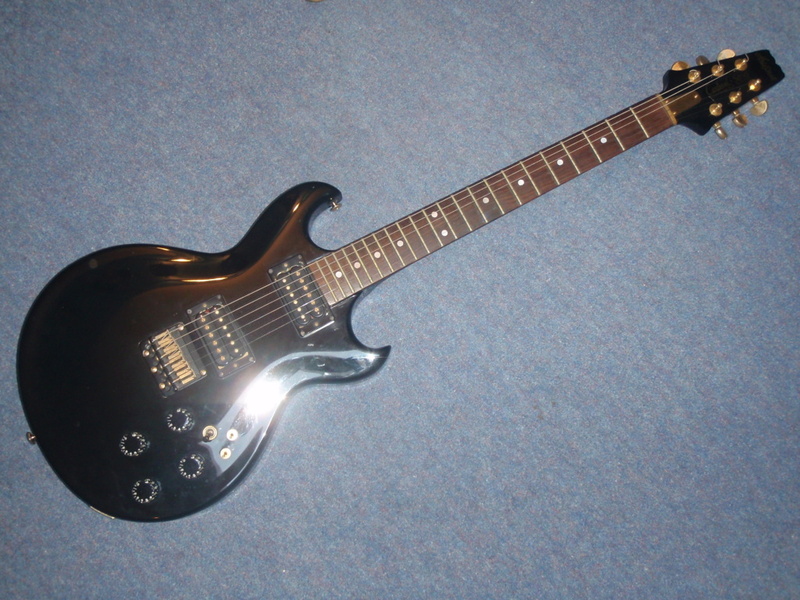 Looks like a demented tremolo bar which makes no sense on this guitar. If it has a female hex head inside that top then it could be perhaps an attachment for the truss rod hex wrench, for leverage?? I'm sure Damian will have the answer. It's an odd thing. 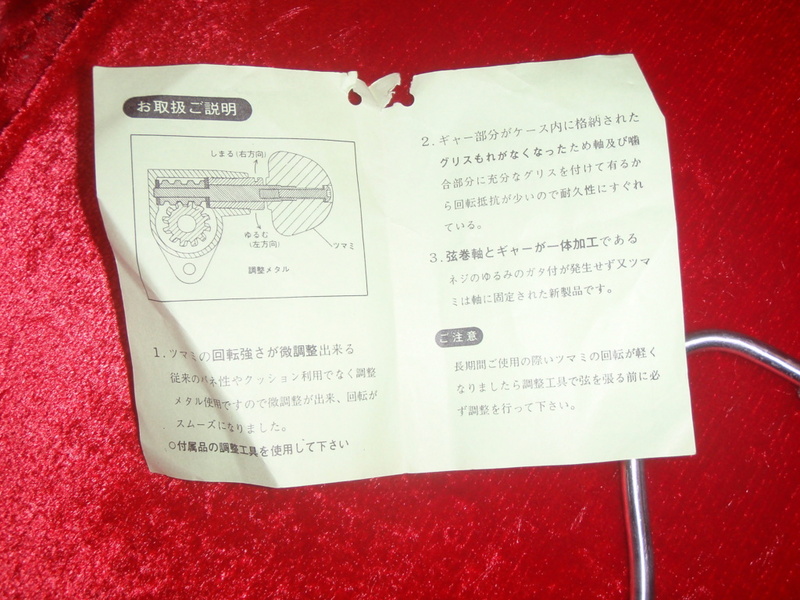 It's circular hollow in section with a circular collar on one end. .....maybe that's what it is!